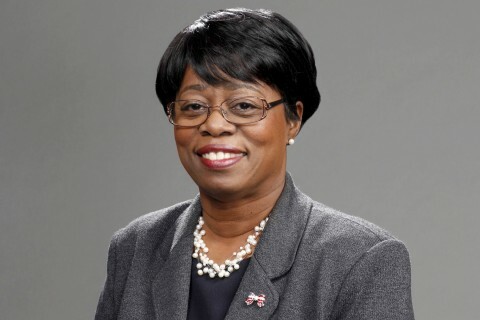 The USC Board of Trustees on Aug. 7 appointed engineer and businesswoman Wanda M. Austin PhD ’88 as interim president. 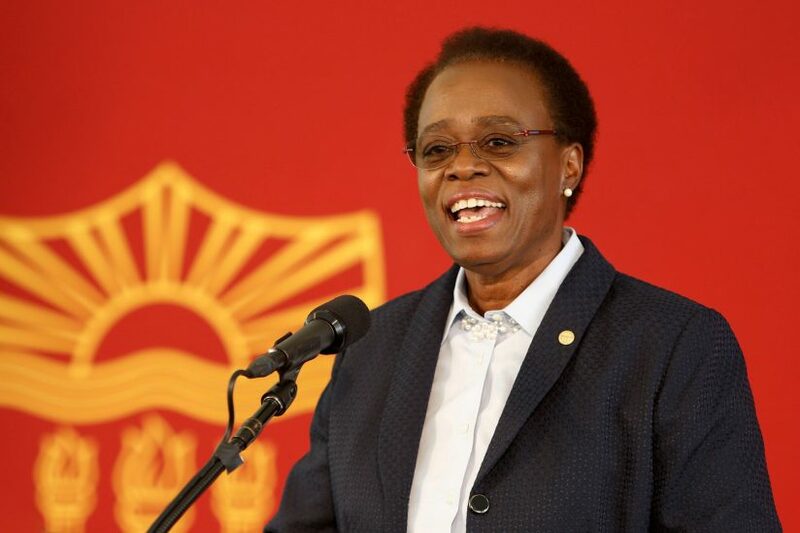 The first woman, African-American USC graduate to lead the university, she will carry USC forward until a new president takes office. 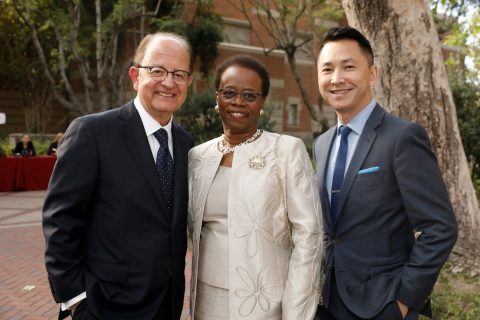 She recently spoke with USC News about her vision for USC. USC News: What was your reaction when they asked you to become interim president? This is obviously a critical time for the university. 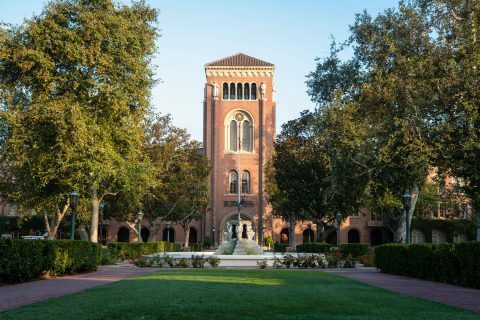 During your time leading USC, what are your thoughts about how best to move the university forward? One of the things that I mentioned [at new student convocation] is to make sure we are living our values. We have our values on Tommy Trojan, but how often do we think — as we make decisions, is this decision consistent with the values that we have? My focus really is about making sure that we’re doing our job and that we’re taking action doing that is consistent with our values. What are some of the opportunities that USC faces in the months ahead? I think that USC has the opportunity to continue to lead in transformative research. We need to make sure that we are talking about those successes and encouraging additional investment in those areas going forward. 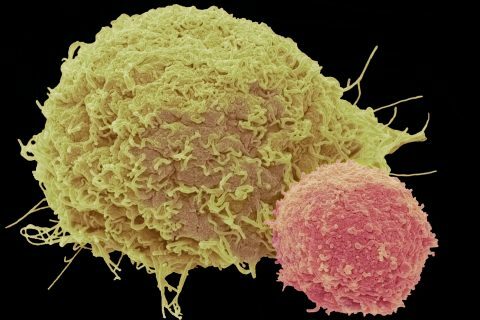 Biomedical is an area that is really blooming. Cyber is another one. The digital arts is another. There’s lots of innovation that’s already ongoing. I’d like to see us make sure that we’re talking about it, that people know that it’s going on, because that draws additional talent. As interim president, what does “interim” mean to you? I know that I’m not here for a long period of time, and that I will have to make decisions until the new president arrives about things that really need to be addressed. It means that I need to think about our students who are coming to campus, making sure that we are fully prepared to embrace them in the way that gives them the confidence that they are going to have the academic experience that they expected; and to be able to reassure parents that this is a great decision for their student, one that really ensures that they’re going to have a bright and promising future. I need to engage with our faculty and remind them about the wonderful opportunity that they have to shape the minds and direction that our future leaders are going to go. We need to make sure that people understand the phenomenal things that are happening on this campus. And I need to embrace our staff and tell them that we appreciate all the hard work they do to make everything else possible. It’s also very important to have open communication across all of our stakeholders: alumni, students, faculty, everyone who is impacted by what’s going on here — and that includes the local community. On a national level, we need to make sure that people understand the phenomenal things that are happening on this campus. How will the university go about making sure that students are confident that they are getting the top-tier academic experience that they expected at USC? By making sure that they have an opportunity to explore things that they don’t even know about. They have to take advantage of the rich experiences that are here — not only the science-engineering-technology work, but the arts, Visions and Voices, the fact that you’re situated in the greater Los Angeles area, which is the focal point to most anything you can think of. We have to make sure that the students understand that that’s all part of their academic experience, that we want them to be well-rounded, well-informed global citizens by the time they leave. Where would you like to see the university at the end of your service as interim president? I’d like to see the university take the wonderful things that are already happening and make them better. I want us to have that culture of: Yes, we did a good job, but if we work on it — if we try something a little different, if we bring in some other people — we can add another dimension to what we’ve already achieved. Let’s talk about the situation involving the former staff gynecologist at the student health center. What are your thoughts on what happened, and what USC should do structurally and philosophically to make sure it doesn’t happen again? That’s a fair question. At no time does anyone here expect that a student who comes to this campus and uses a service on this campus doesn’t get the very best of care, or feel secure and supported. We have failed if we find circumstances where we have allowed that to be the case. The first thing we have to do is come together as a community and realize that we are all in this together. Everyone who has any association with USC has the opportunity to say, “Hey, I see an area where we could be better.” And that voice needs to be heard, that voice needs to be encouraged. It’s also important for us to do proactive education so that people know what’s right, and what’s appropriate, and what’s ethical, and as you step on this campus, have it be reinforced to you that this is a place where we have zero tolerance for inappropriate behavior, we have zero tolerance for people not being safe and secure, and that you can turn to multiple places for help — whatever is required for you to feel comfortable. This has to be one of the things that we talk about and focus on, because if you don’t focus on it and pay attention to it, it’s not going to change — and we have to change. You and your husband, Wade (MS ’84), are both active Trojans, right? He’s an enthusiastic alum and so we always attend events. We go to the basketball games. We go to the football games. We come to the inspiring events here, whether it’s a dance program or a vocal program. We really enjoy being on campus. Tell us about your own academic experiences, starting at Franklin & Marshall College and then graduate school at the University of Pittsburgh. The first time I saw the Franklin & Marshall campus was when my parents pulled up in a little Ryder van, and pushed me off the back and said, “Good luck, we gotta get the van back.” So, now you have a young, African-American girl who grew up in the inner city out in the middle of Amish Country on a campus of 2,000 students, 20 of whom are black — a very different experience. 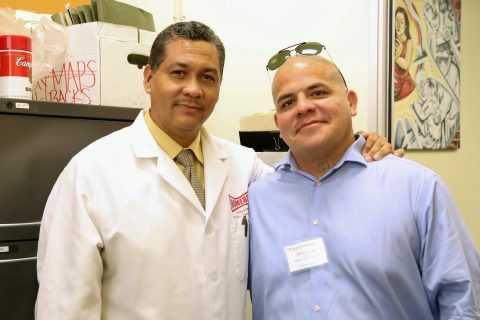 What made the difference was faculty members who said to me, “You’ve got talent. You’ve got capability. If you apply yourself, you’re going to do well.” It was an environment that really fully embraced you. What are your own memories of USC? You were here as a graduate student. 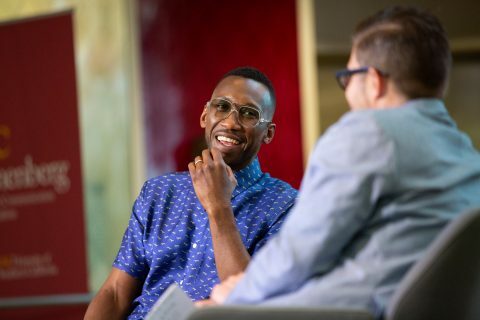 I think that was what attracted me to USC: I felt that I was only limited by my own imagination on how to engage, how to define a program that would be very challenging but very stimulating and would help me in my career. When you started at The Aerospace Corp., you were one of just a handful of women, and you became the company’s first female and African-American CEO. Now you’re the first woman and African American to lead USC. Do you see yourself as a pioneer? My husband always reminds me, “Not everybody does what you do,” and I recognize the uniqueness of it. I also recognize that, with a little encouragement, we can all be pioneers in some way. It’s really important to make sure that we don’t miss the opportunity to develop many pioneers. How did your time as a CEO prepare you for this role? It’s not just my time as a CEO. It’s my time as an inner-city child who was afforded the opportunity to get a great education by being bused to a different neighborhood, and having the experience of learning that was privilege. It’s my time of going to a first-class high school that focused on math and science that enabled me to be able to believe that I could be whatever I wanted to be in the world. By the time I joined The Aerospace Corp., I didn’t know I was going to be a CEO. But each one of the projects that I worked on, I learned something new. I learned about teams. I learned about working with people. I learned about making decisions when there are some unknowns, and how you work your way through that. In my time since being CEO, working on the board of Chevron and going through a CEO transition there, you see the process: What are the things that you need to consider? How do you conduct a national search? How do you focus on succession planning long before you have an opportunity or a need to fill a position? I think all of my experiences have really culminated in giving me a very rich toolbox that I can draw on for the things that I need to address here at USC. Do you see your current job here as being the CEO of the university? It is CEO. You have a board, and you have lots of outside stakeholders who are vested in your organization. They get a voice, and certainly they will react to decisions you make and whether they think you are going in the right direction. Then you have a team that’s inside, that you need to help with guidance and direction but also to help them figure out how to remove the obstacles that they see. It’s about giving people the resources they need and get out of their way. I am OK with getting out of the way and just sort of watching the magic happen and seeing where it goes. I take tremendous pride in that. Your fellow USC Trustee, Jane Harman, has called you a rock star. (laughs) I think that I have led a very blessed life. And I don’t take it for granted, and so I take every chance I can to give back and make the world a little bit better. I’m happy to do that, and really look forward to doing that here as well. [But] I’ve been telling people it’s not about me. It’s about making sure that the team has a clear plan on what we’re trying to do and doing it. Everybody — the Trojan Family, and the entire family is involved. 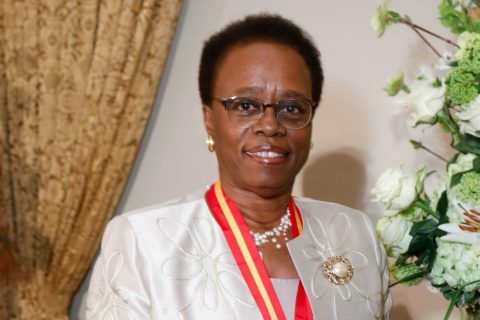 Wanda Austin joins a council that makes recommendations for presidential priorities in STEM education. The annual event, held at Town and Gown on the University Park Campus, recognizes that USC is above all else a community of scholars.